Trousers or shorts, both of which must be tailored. Shorts must be knee-length and have loops for a belt. Golf shirts with sleeves and collar. Shirts must be tucked into trousers/shorts at all times. Short white sports socks are permitted in addition to the traditional knee length socks. Trousers or shorts which are not tailored – for example running shorts. 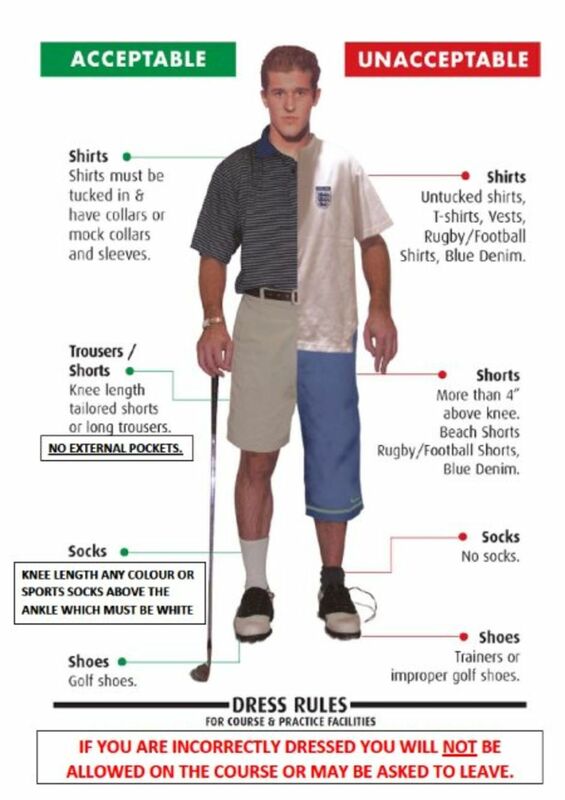 * No one should commence a round of play or enter the clubhouse unless dressed in accordance with the above code. 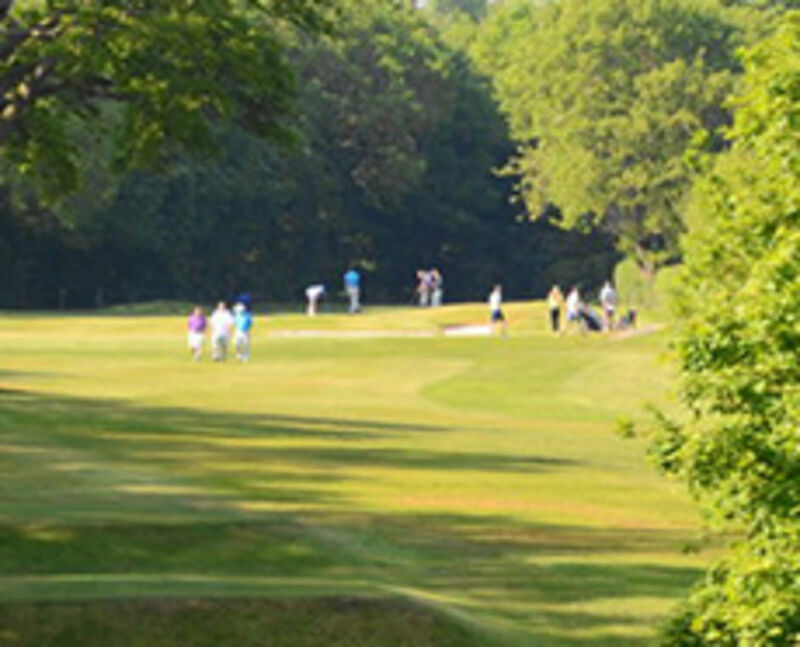 *Any person doing so may be requested to leave the course or clubhouse by any member or servant of the club.